GV provide strategic development advice and sell high profile regeneration portfolio of sites. 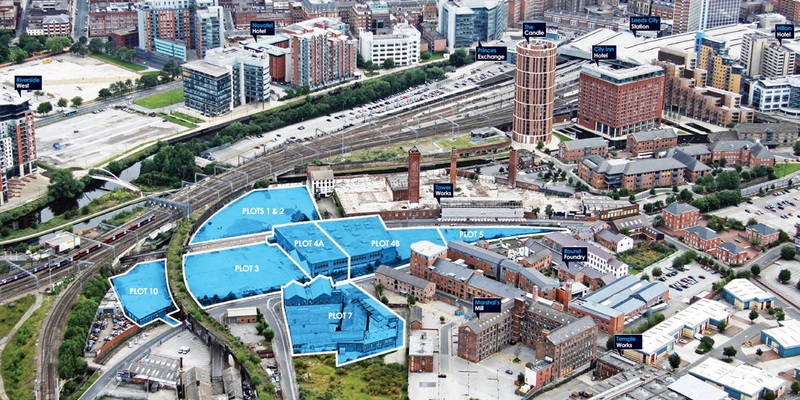 Gent Visick were instructed by RBS (West Register) to advise on one of the most complex and politically sensitive collection of sites, the 5.86 acre Holbeck Portfolio, located in the heart of South Bank, one of central Leeds’s key regeneration areas. The assets had been acquired by the bank during the recession and had been the subject of a series of contentious planning applications culminating in a fractious relationship with the local authority and no valid consent or route forwards. Gent Visick were appointed by RBS to provide ongoing development and viability advice, working with the incumbent planning consultants, architect and professional team, to create a viable scheme capable of being taken to market. This exercise was carried out under extremely tight time pressures as the West Register entity was seeking to sell all their assets within a short and prescribed timeframe. Following this consultation exercise a high profile marketing campaign was launched with a view to selling all sites for maximum value in the shortest term possible. GV co-ordinated the marketing campaign, managing the data room and ensuring that the marketing campaign didn’t descend into a ‘fire sale’ as the market were extremely aware of the intentions of West Register. The level of interest generated through the initial marketing necessitated a 2 stage informal tender together with presentations and interviews of short listed purchasers. Commercial Estates Group (CEG) were identified as an appropriate buyer capable of performing within the requisite timeframe and, from our research, we were aware they were extremely keen to acquire a foothold in the South Bank area. GV negotiated a sale of the entire portfolio of 7 sites on an unconditional basis to CEG for £9.6M in under 6 weeks. The sale completed prior to the deadline and without any re-negotiation at a level considerably ahead of valuation.